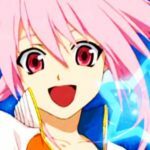 Four new scans have been recently revealed (two from RPGLand, two from PSPHyper) for Tales of Hearts and Tales of the World Radiant Mythology. For the ToH scans (first two scans above), they reveal the proper name of the recently revealed character, Chalcedny Arcome, that blonde knight. His Soma is Balhait. Other than that, it reveals more info on the system. Instead of cooking, we now have Recovery Stones, you can equip up to two accessories, a monster encyclopedia, an auto-text option, and the difficulty levels of Simple, Normal, and Hard. Apparently, the Soma are to have builds, namely Parameter (for stat increase), Battle (obtaining skills and spells), Action (aiming, backstep, etc. ), Support (various support skills, like decreasing casting time, etc). There seems to be a Special build as well, but still not clear on that. Other than that, old info, like the Soma can be customized according to your desired play style (attack type, etc, similar to ToI's "style" system), and that dungeons are more expansive. For the TotW:RM2 scans (next two thumbnails), we now have the official release date, January 29, 2009, at the price of 5200 Yen/$55. 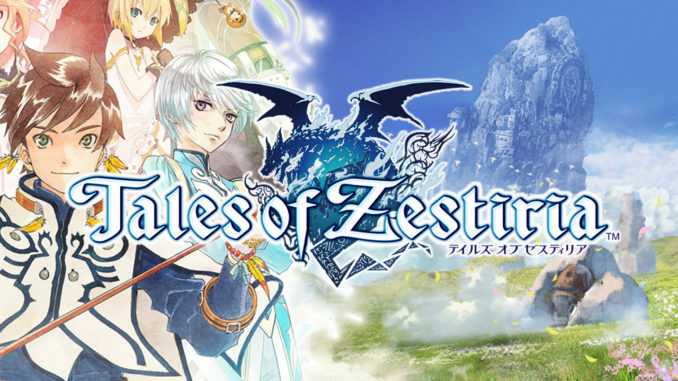 The following previously announced characters are now confirmed to be playable (and cut-ins): Ruca Milda (Tales of Innocence), Rubia Natwick(Tales of the Tempest), Mint Adnade (Tales of Phantasia), Keel/Keele Zeibel (Tales of Eternia), and Mao (Tales of Rebirth). 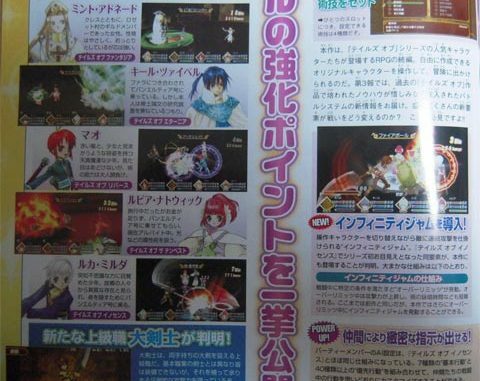 One more revealed playable character is Lilith Aileron (Tales of Destiny, she's in one of the screenshots). There will also be a Slot System in the game, which is a feature that will allow 12 artes slots, each having 4 areas where you can assign an arte. Slots can be changed in battle via the L button (as seenhere, here and here). 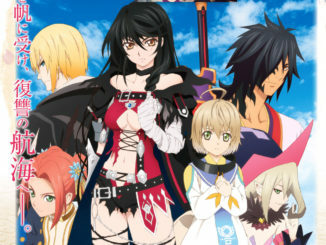 And Tales of Innocence's Infinity Jam andAwakening systems will be applied this time around (refer here for info), as well as ToI's advanced strategy system, where you can assign of orders to your party members. The arena is also confirmed. 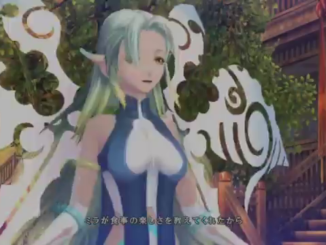 Lastly, new videos featuring their Hi-Ougis for Genis Sage, Presea Combatir and Caius Qualls. Click the last thumbnail above to view. 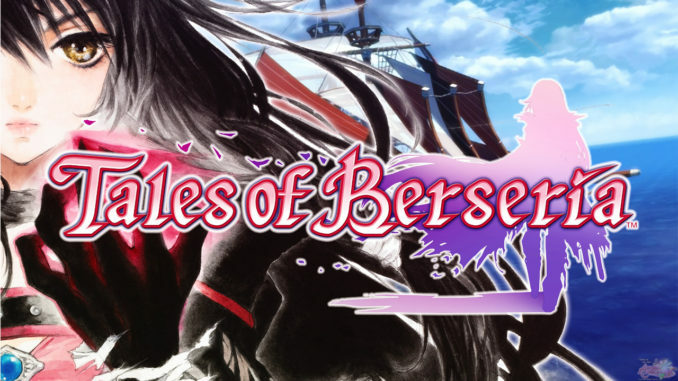 And pretty old news, they changed the CG boxart for Hearts again, adding a backdrop of that whale. Now it looks more like Final Fantasy, yay!.